This entry was posted on 26 April 2015 at 12:00 pm	and is filed under Setting Blogs. You can follow any responses to this entry through the RSS 2.0 feed. You can leave a response, or trackback from your own site. 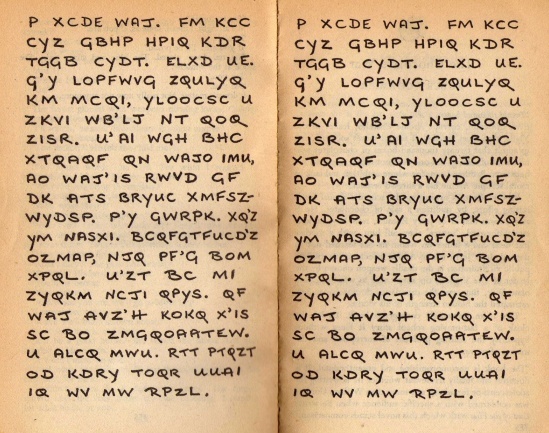 Amateur code-writing by Garner, including all the original punctuation and spacing in the ciphertext. Tut tut! Or should I say “AGH BUR!”…? Thanks for the blog, Nudd.